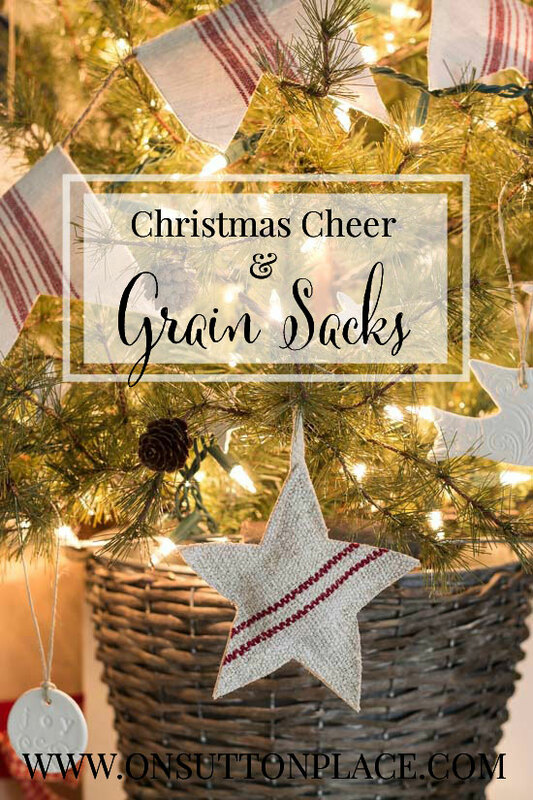 Hello and welcome to Christmas Cheer and Grain Sacks! 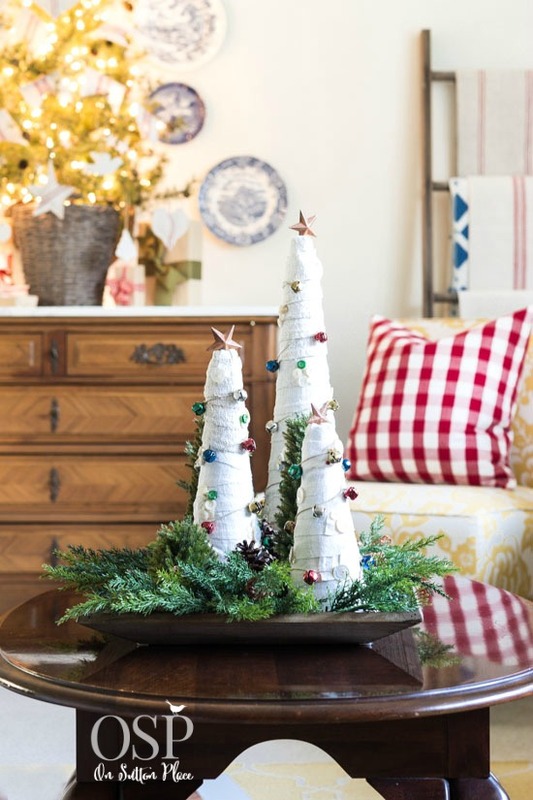 I’m teaming up with three other grain sack-loving bloggers to bring you ideas and inspiration for adding these vintage lovelies to your Christmas decor. All of their links will be at the end of the post, so we’ll get to that in a bit. First I’d like to show you my little table top Christmas tree. Last year, I finally gave up on a big tree and bought this mini version. Honestly, I didn’t much like it…but when I got it out this year it didn’t seem so puny. I placed it on my antique chest so it has a bit more presence than it did on the floor. I decked it out with white lights and all handmade ornaments. 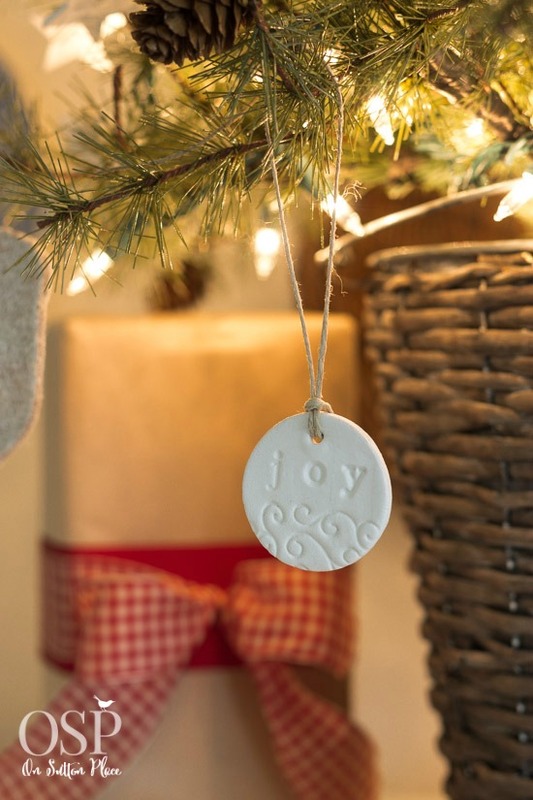 Little puffed hearts and stars, clay tags and a grain sack garland. The garland was super easy and I’ll be back with a quick tutorial for that on Sunday. Next I added grain sacks to my vintage ladder. They are actually just pieces of grain sacks I had left over from other projects. Nothing goes to waste when it comes to sewing with these beauties. Every single inch of stripe is used for something. Rest assured these pieces will be put to good use. Many times when I’m finished with a grain sack project, I have narrow strips of hemp left. They are usually the side seams or ends. A few years ago I decided to make some Christmas trees from these ends of hemp. They land in a different place every Christmas. Last year they were in my entry. This year they are on my reclaimed wood tray and right at home on my coffee table. I remember the exact minute I saw my first grain sack. It wasn’t actually in person but on Miss Mustard Seed’s blog. I fell in love immediately and knew they would become a big part of my blog and online shop. They have a story to tell and a rich history. Many times as I’m picking out the side seams of a grain sack, I wonder about the woman who sewed the stitches. Would she approve of what I’m doing? I really hope so because every grain sack item I have ever made was produced carefully and with love. Yvonne from StoneGable is featuring us in a round up so stop by her place and say hello! Thank you for stopping by…see you soon…maybe tomorrow! I love your posts! I have started a file on my computer to save. Would love to see more of your home/decorating. Happy holidays! 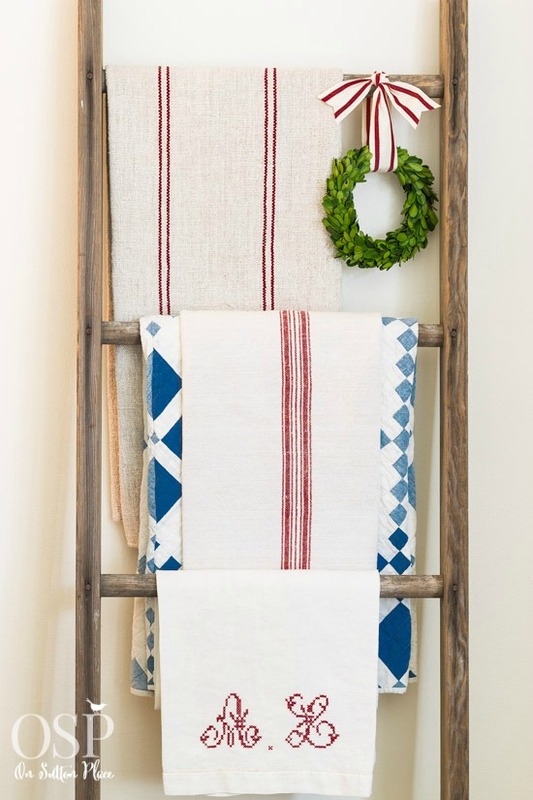 The ladder display of your grain sack remnants is fabulous, what a wonderful way to store and enjoy them until they are made into other gorgeous things! I love grain sack too. I’ve been wanting to try a project but haven’t had the courage to cut one yet! Gorgeous – I love it all. The grain sack ornaments (especially the puffy hearts and stars) are fantastic and I love the clay ones you make too. I want to try them one of these years. You grainsack projects are beautiful. I especially love the grainsack ornaments. They look like they are very well made with crisp tailored edges which I favor over raw edges. I think the women who sewed the original seams in the grainsacks would approve of what you do with them now. Thank you Judith…Happy Holidays to you! My friend wrote a blog called “John’s Wife”. She was going through chemo for Stage 4 cancer. After she passed, Cathy Mesecar, took her blogs and made a devotional book called “Dogwood Winters” from them. It is a wonderful book about her life, memories, and dealing with cancer. I am giving copies of her book to my friends for Christmas. 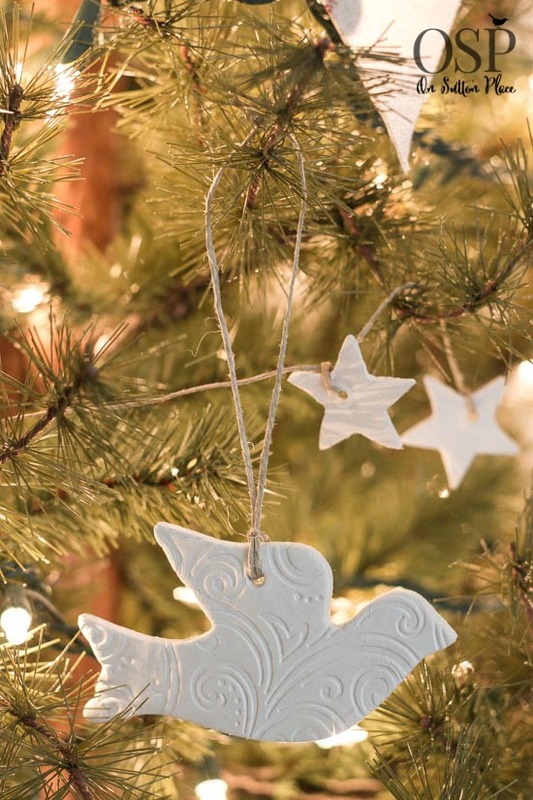 Your dove and heart clay ornaments were the perfect addition to their wrapping. Everyone has thought this combination of book and ornament a very special gift. Thank you for sharing this Patsy…what a lovely idea to attach the tags to the books. Cancer has touched us all but many times good things come from it. Have a blessed Christmas. I can see the picture when I get an e-mail…but when I open just can’t see anything…can w help? Would you mind forwarding the email to adrake606@aol.com so I can take a look? Ann I love your little tree. Not puny at all. Thank you for sharing all the beauty of your home with us. What you can do with a grain sack is amazing! 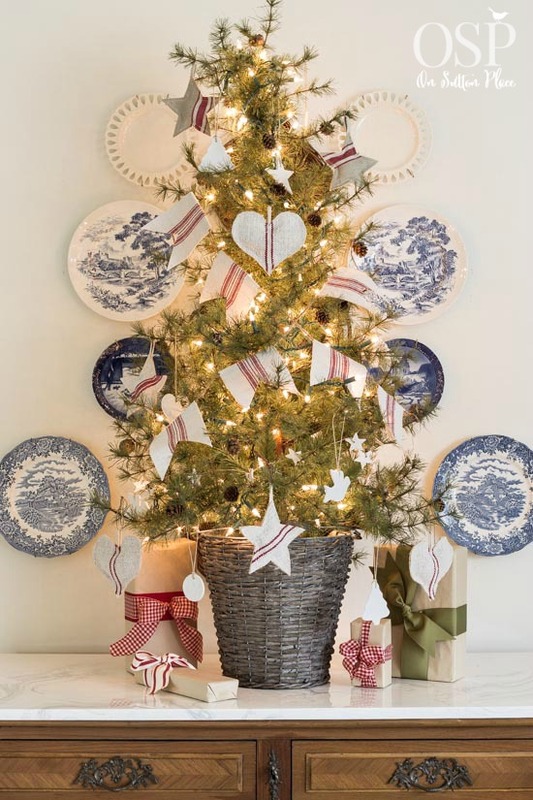 Love the trees from the scraps! You have way with grain sacks my friend. Well done!! I simply love everything you do. 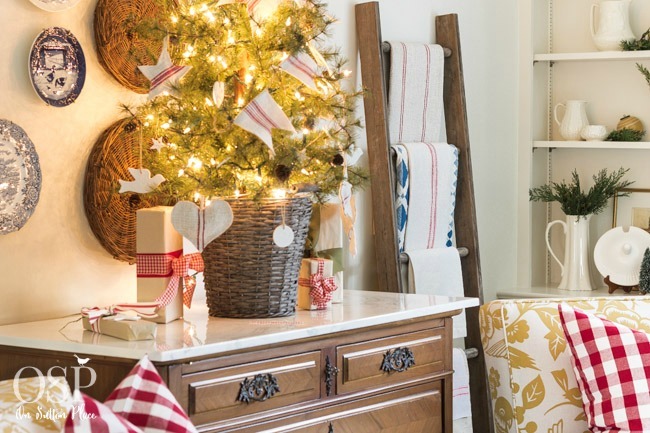 You have such a great talent for beautiful decorating and craft making. 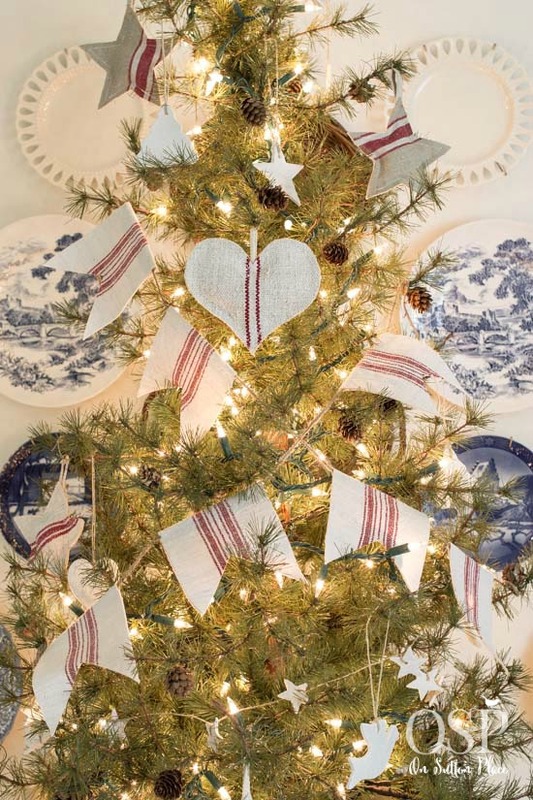 My little 42# Christmas Tree looks so adorable with the “miniature grain sack stockings” made by you, hanging on it. I’m so happy I found your site, just this past September. I’ve gotten so many ideas and great inspiration from you. Thanks! Happy December. 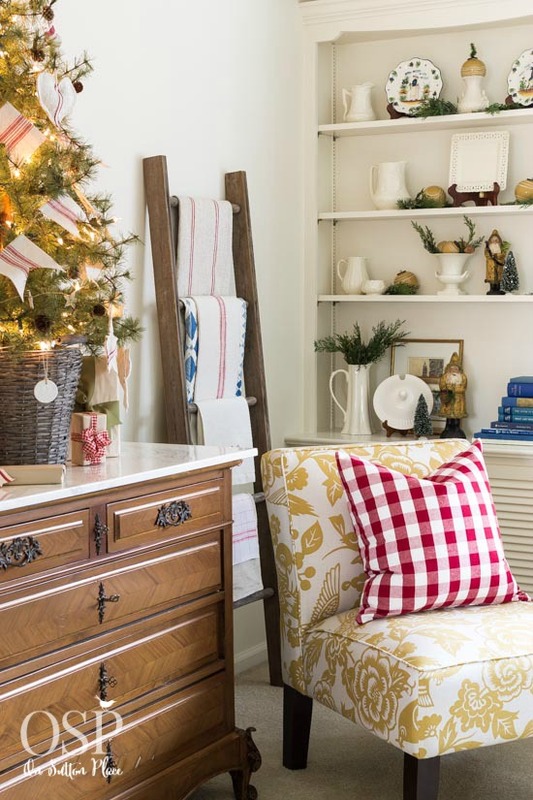 Ann…your grain sack items are always so beautiful….I love my star that you made…your tree is so very beautiful … I am crushing on your ladder of grain sacks and linens…especially the one with the monogram! I love your style and everything you do. I no longer do the big tree and purchased a small one last year. I had it on the floor and it just wasn’t right, I moved it to a table and now I love it. I love the pillow I received from you. It is perched on a vintage chair in my kitchen. A merry Christmas and blessed New Year to you. 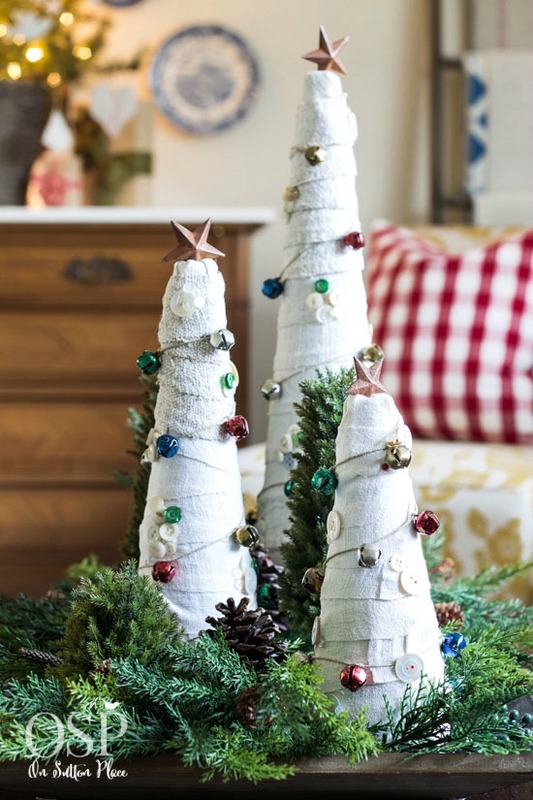 I love your grain sack ornaments and the trees you created. 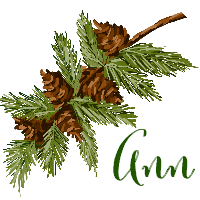 Everything is just stunning Ann, you are bringing a lovely vintage feel to Christmas this year.